Sylvain Prudhomme was born in Seyen-sur-Mer in the South of France in 1979. After childhood spent in Africa (Cameroon, Niger, Burundi, Mauritius), he studies literature in Paris and starts with his PhD that he later interrupts in order to dedicate himself fully to his writing. His first novel, “Les matinées d’Hercule”, a burlesque in a monologue form about the sleeping man and his immobile travels, was published in 2007 by the Paris based publisher Serpent à Plumes. In 2010. two other Prudhomme’s titles were published. “L’affaire furtif” is a daydream about archipelago with a wide array of unusual characters – utopia followers, botanists, composers and “anarchitects”. “Tanganyika Project” draws its inspiration from the writings found on the city walls, billboards, painted commercials and graffiti. The author used them to describe the city Kigoma at the shore of the Tanganyika Lake. Besides being a writer, Sylvain Prudhomme is one of the founders of the “Geste” magazine in which he publishes interviews with numerous contemporary writers and artists. In 2009, he joins the founders of the magazine “Le Tigre”. He writes reportages about African hair saloons in the Parisian quarter Château d’Eau (“Africaine Queen”, 2010) as much as about the inhabitants of the wood cabins in the province of Ariege (“La vie dans les arbres”, 2011). For ten years he was working as an assistant of the writer Valère Novarina. From 2010 until 2012 he was employed in the French-Senegalese Union in Ziguinchor (Casamans). His latest novel “Là, avait dit Bahi” was published by L’Arbalète/Gallimard and talks about the daily life of an old Algerian man who travels through the region of Tlemcen in his truck. During the trip he unravels his memories scattered with fragments of the Algerian history before and after the independence. 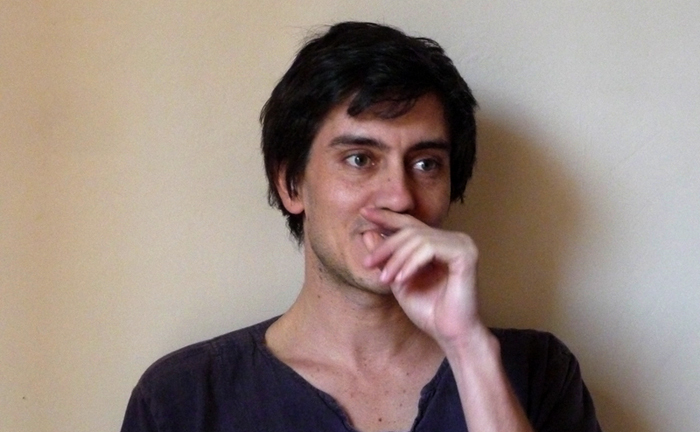 For this novel Sylvain Prudhomme was awarded with the “Louis Guilloux Prize”.